Looking to place a GSA order? On-line access to contract ordering information, terms and conditions, up-to-date pricing, and the option to create an electronic delivery order are available through GSA Advantage!®, a menu-driven database system. The web address for GSA Advantage!® is: www.GSAAdvantage.gov. 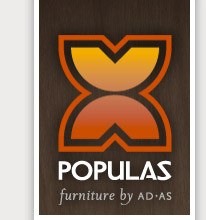 If you have questions specific to your project, don’t hesitate to contact us, call 1-800-957-2720 or email customerservice@populasfurniture.com.